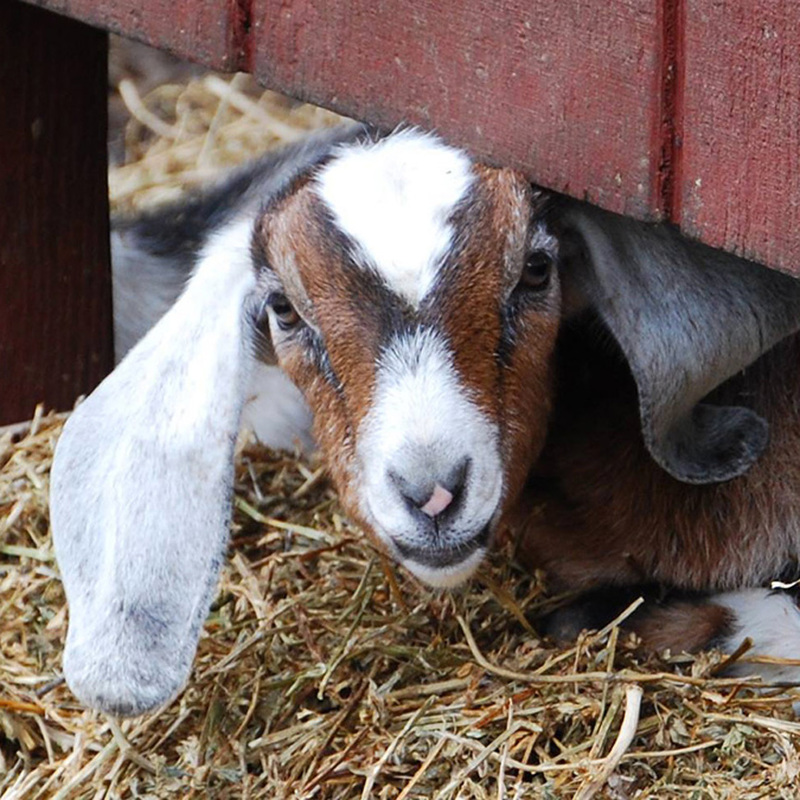 Nubian goats were the first breed at Redwood Hill Farm and to this day, still one of our favorites. Nubian goats were the first breed at Redwood Hill Farm and to this day, still Jennifer’s favorite. Although Nubians have traditionally been one of our smaller breeds by total numbers within the herd, we are proud of the overall quality. From the 2010 ADGA National Champion SGCH Redwood Hills Tarot Dahlia, to the perennial attendee on the top ten list for milk, SG Redwood Hills MC Glory, our Nubian goats live up to our motto of “The Winning Combination of Milkability and Showability”. In the last fifteen years we have primarily used Kastdemur and Wingwood Farm genetics on top of the herd and it has proven to cross well. At the 2015 ADGA National Show in Redmond, we brought four senior doe Nubians. All placed in the top 5 of their class, and each earned an udder placing. Redwood Hill Farm also had the 1st place Get of Sire (Kastdemur’s Monte Carlo), 1st place Produce of Dam, and 2nd place Best 3 Females.